Today the study of human history is critical to global survival; the experiences of others serve as guides to present and future conduct. At the same time, exposure to rigorous historical method and clear narrative style develops conceptual skills, research competence, writing fluency, and sensitivity to the uses and abuses of language and historical knowledge. The history department curriculum includes courses on African, Asian, Caribbean, European, Latin American, Middle Eastern, and North American subjects, and on contact and interaction among these societies. Majors are encouraged to take courses in related departments and programs. Competence in at least one foreign language is also desirable. The Award for Excellence in History — awarded by the department to the student judged by the faculty to demonstrate outstanding merit, perseverance, and promise on the basis of work done in the department. The History Honors Award — awarded annually by the department to a senior major in recognition of a distinguished thesis in history. The Douglas K. Reading Prize — Awarded in memory of Douglas K. Reading, professor of history from 1938 to 1980. The Reading Prize is given annually to an outstanding junior or senior major, with preference to a student of modern European history, Russian history, or ancient or medieval history. The Scott Saunders Prize for Excellence in History — established in memory of Scott Saunders ‘89 and awarded annually to a senior major in history who participated in the Colgate London History Study Group, in recognition of work done in London that is distinguished in its own right or which contributed to the completion of a distinguished project. Students with scores of 4 or 5 on the Advanced Placement (AP) exam in European or American history will receive credit toward graduation but not toward the major or minor. Those granted AP credit in European history may not repeat HIST 101 and/or HIST 102 without permission of the department chair; those granted AP credit in American history may not repeat HIST 103 and/or HIST 104 without permission of the department chair. No department credit or exemption is given for an AP score of 3 or for AP courses taken without the AP examination. Majors may not count course credit given for AP in history toward the nine total courses required. Minors may not count course credit given for AP in history toward the five total courses required. Requests for transfer of external credits toward the major or minor should be directed to the department chair. Courses must be of comparable quality to ones offered at Colgate to be approved for transfer. 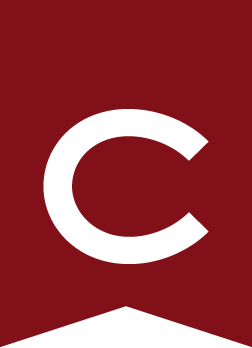 Colgate students who have not transferred from another institution should consult the department chair before enrolling in courses at other institutions or in approved off–campus study programs. Permission to use such courses for major or minor credit is granted selectively, and only one course may be approved. Complete an honors thesis that has been judged by the major adviser and one other department faculty member to be of A or A– quality. The thesis is normally expected to be completed in two terms. It may be started in any 400-level history seminar, any history 300- or 400-level independent study, or the London History Study Group; papers may also be developed from the term paper in any 300-level history course. A candidate is encouraged to enroll subsequently in HIST 490 to complete the thesis. Defend the paper in an oral examination before the two faculty readers. The examination must also be judged to be of excellent quality. The Department of Educational Studies offers a teacher education program for majors in history who are interested in pursuing a career in elementary or secondary school teaching. Please refer to Educational Studies . Only MAT students may take graduate-level versions of history department classes, which are given 500-level course numbers. For further details, see the MAT entry under Educational Studies . Every year the history department conducts a study group in London. Admission is selective and limited to students of suitable interest and academic background. Interested students should inquire the preceding year. Prospective students must take HIST 199 - History Workshop (formerly HIST 299) and HIST 300 - The London Colloquium before going to London, and should be in residence the semester before departure. For more information, see Off-Campus Study .